(VEN) - Scientific and technological (sci-tech) activities have become increasingly practical and compliant with socioeconomic development targets. Many sci-tech projects have greatly contributed to production development and improving people’s lives. 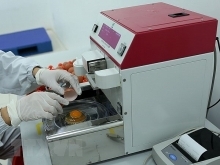 Ta Duc Hien, director of the center for science and technology application of Thai Nguyen Province said his center has transferred technologies and production models from universities and research institutes to farmers. For example, the center transferred mushroom production techniques to hundreds of households in Thai Nguyen, helping them generate improved revenues. 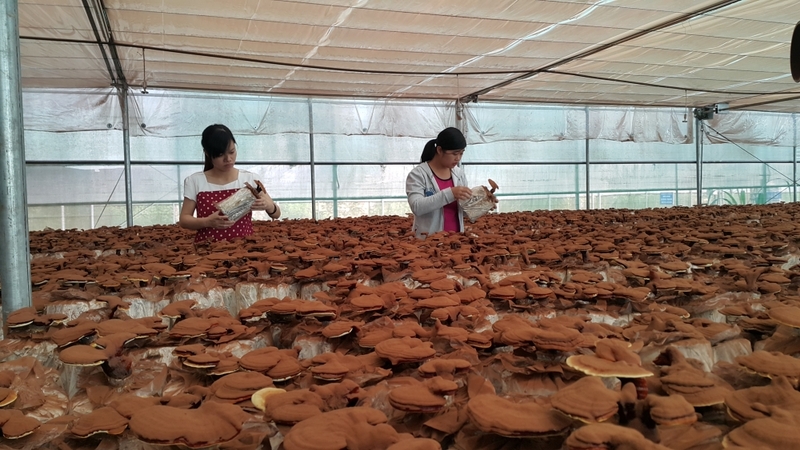 Each household grew mushrooms on an average area of 1,000 square meters, earning about VND300-400 million a year. Nguyen Van Chuc, director of the center for science and technology application of Bac Giang Province said one of the outstanding technologies received and transferred by the center is aeroponic technology for disease-free potato production. The project has provided potato plantlets for about 300 hectares in the province and helped reduce related seed import cost by VND5,000-7,000 per kilo, saving farmer VND2 billion. Dr. Nguyen Van Lieu, Director of the Ministry of Science and Technology’s Department of Local Science and Technology Development said localities have spent about 70 percent of their annual sci-tech budget on research and development (R&D). More than 50 provinces and cities have set up sci-tech development funds, he said. Sci-tech research and development is now concentrated on application possibility and socioeconomic efficiency of product value chains and large-scale production development, Lieu said. Almost 70 percent of sci-tech projects have been put into use, with the rate reaching 75-80 percent in a number of localities. 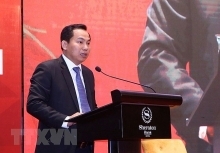 Ta Duc Hien, director of the center for science and technology application of Thai Nguyen Province said that along with encouraging achievements, the sci-tech industry in localities is encountering many difficulties. The role of applied sci-tech organizations must be promoted and investment increased in research infrastructure and human resources development to create highly practical projects, he said. Director of the Department of Local Science and Technology Development Dr. Nguyen Van Lieu said local sci-tech capability improvement is a must, with priority given to development of a highly qualified workforce. It is important to efficiently enforce policies to attract talent, and implement policy on sci-tech organizations in accordance with Government Decree 54/2016/ND-CP, Lieu said. In addition, priority should be given to research and development directly serving localities’ socioeconomic development programs, and developing and implementing inter-provincial, inter-regional and inter-sector sci-tech tasks. 1,000 sci-tech tasks are being implemented per year, 30 percent in the field of agriculture.